Stop by MIAC for family activities including seed planting in bio-friendly seed pots, learn about Southwest Native American gardening and planting method. Enjoy popcorn and chia lemonade and pick up a free sunflower or vegetable transplant. 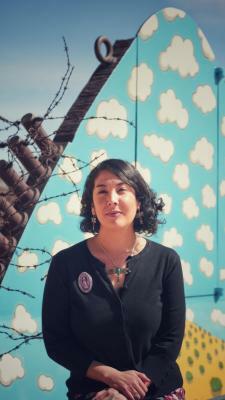 At 2pm, MIAC features a lecture - with Valerie Rangel and Bob Haozous - based upon the book "Environmental Justice in New Mexico: Counting Coup," authored by Rangel with a foreward by Haozous. A book signing and refreshments will be offered following the lecture.